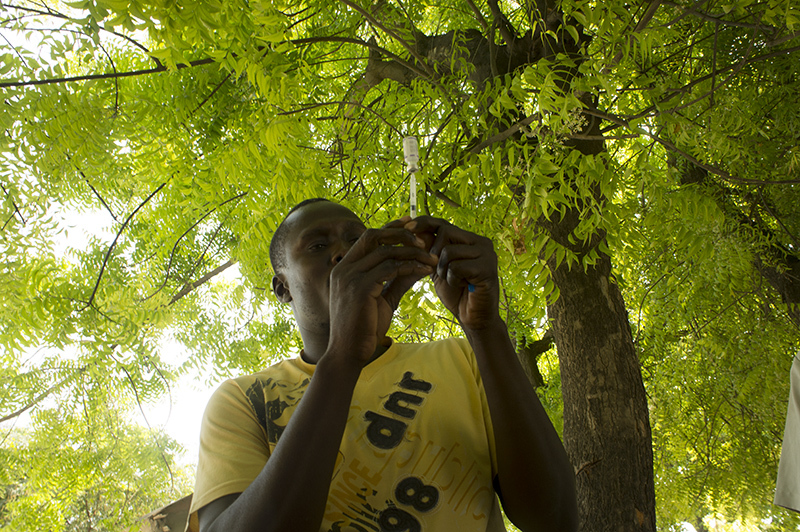 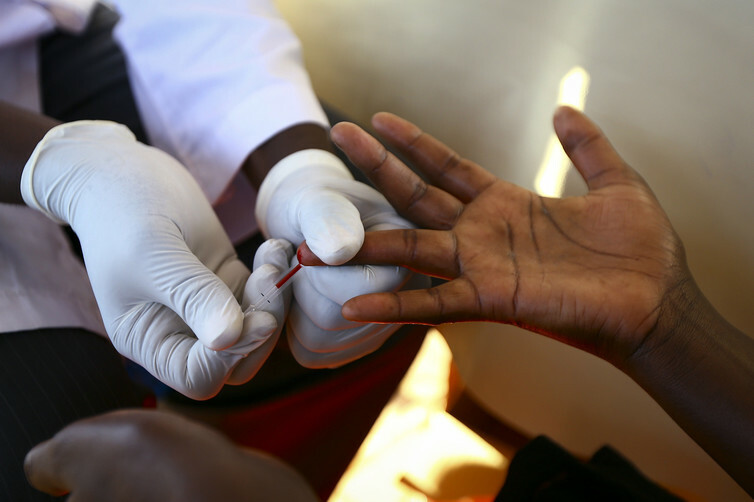 A doctor draws blood from a man to check for HIV/AIDS at a mobile testing unit in Uganda in 2014. 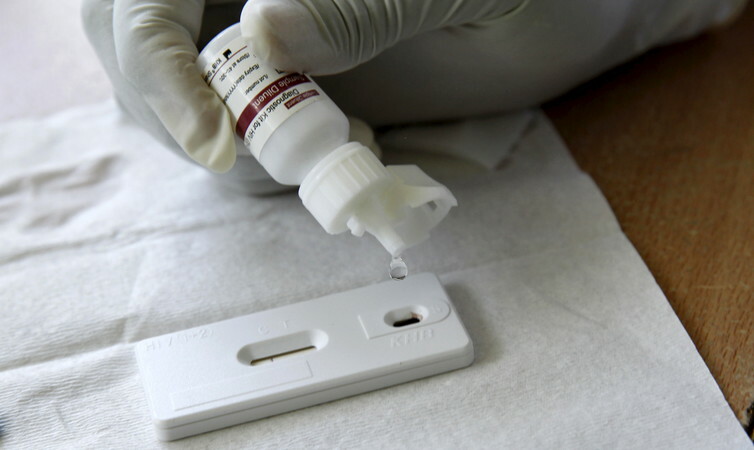 A counselor adds a reactor to a blood sample from a woman to test for HIV at the Mater Hospital in Nairobi in 2015. Time to starting ART, by study arm. 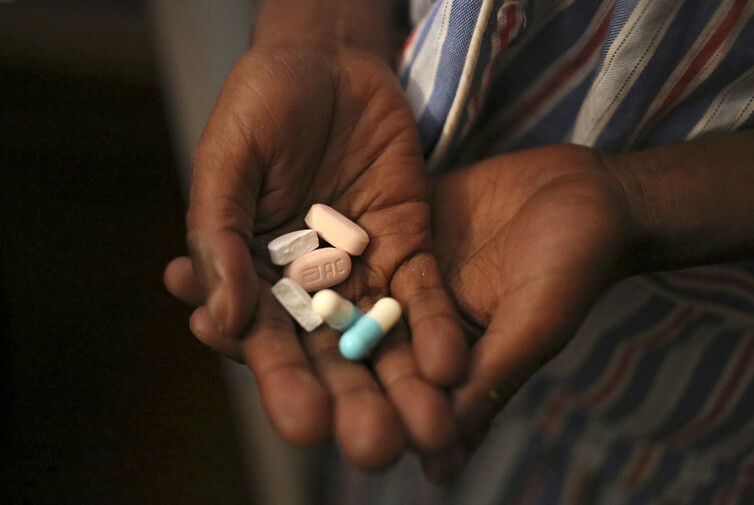 A nine-year-old shows off antiretroviral (ARV) pills before taking his medication south of Johannesburg, November 28, 2014.